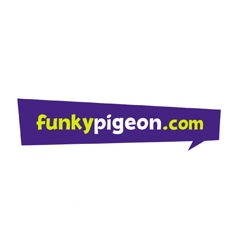 Funky Pigeon is a fast-growing UK-based online retailer of greetings cards, calendars, stationary and gifts, many of which can be personalised with an easy to use online editor. Funky Pigeon specialise in helping create a memorable keepsake, present or card for any occasion. The company was acquired by WH Smith in 2010 and now has four million active customers. The company always faces seasonal spikes in website traffic and needed to ensure its online platform was stable and fully functional during busy periods. This was especially true at Christmas where workloads could increase by 5x to respond to customer demand and fluctuations in data traffic were creating network instability and having a negative effect on the customer experience. Our customers expected a digital service with a great customer experience, that was fast and reliable even during peak usage times. To make this happen and grow the business we needed to optimise the online service, as I wanted my talented developers working on new ideas, not worrying about whether the infrastructure would run properly. From the first day of this project, the Claranet team worked tirelessly to help us achieve all of our ambitious business objectives and reduced our running costs considerably, meaning it is practically paying for itself! The biggest benefit is that by eliminating manual deployments, our in-house dev teams can focus on innovation, ensuring the company can continue to grow and remain competitive. Click here to watch our webinar that explains how Claranet saved Funky Pigeon 40% on Amazon Web Services.